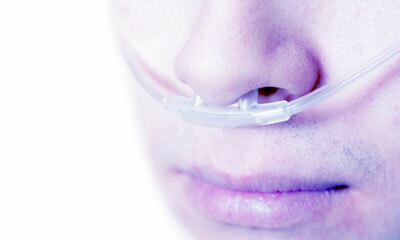 Use of high-flow nasal cannula oxygen compared with conventional oxygen therapy can reduce the risk of reintubation. Recently a randomized clinical trial was conducted to compare the efficacy of high-flow versus conventional oxygen therapy on critically ill patients at risk of reintubation. The results were positive in favor of high flow therapy and the details are published in the Journal of the American Medical Association (JAMA). Continue reading for details on the study and its results. Objective To determine whether high-flow nasal cannula oxygen therapy is superior to conventional oxygen therapy for preventing reintubation in mechanically ventilated patients at low risk for reintubation. Design, Setting, and Participants Multicenter randomized clinical trial conducted between September 2012 and October 2014 in 7 intensive care units (ICUs) in Spain. Participants were 527 adult critical patients at low risk for reintubation who fulfilled criteria for planned extubation. Low risk for reintubation was defined as younger than 65 years; Acute Physiology and Chronic Health Evaluation II score less than 12 on day of extubation; body mass index less than 30; adequate secretions management; simple weaning; 0 or 1 comorbidity; and absence of heart failure, moderate-to-severe chronic obstructive pulmonary disease, airway patency problems, and prolonged mechanical ventilation. Interventions Patients were randomized to undergo either high-flow or conventional oxygen therapy for 24 hours after extubation. Main Outcomes and Measures The primary outcome was reintubation within 72 hours, compared with the Cochran-Mantel-Haenszel χ2 test. Secondary outcomes included postextubation respiratory failure, respiratory infection, sepsis and multiorgan failure, ICU and hospital length of stay and mortality, adverse events, and time to reintubation. Results Of 527 patients (mean age, 51 years [range, 18-64]; 62% men), 264 received high-flow therapy and 263 conventional oxygen therapy. Reintubation within 72 hours was less common in the high-flow group (13 patients [4.9%] vs 32 [12.2%] in the conventional group; absolute difference, 7.2% [95% CI, 2.5% to 12.2%]; P = .004). Postextubation respiratory failure was less common in the high-flow group (22/264 patients [8.3%] vs 38/263 [14.4%] in the conventional group; absolute difference, 6.1% [95% CI, 0.7% to 11.6%]; P = .03). Time to reintubation was not significantly different between groups (19 hours [interquartile range, 12-28] in the high-flow group vs 15 hours [interquartile range, 9-31] in the conventional group; absolute difference, −4 [95% CI, −54 to 46]; P = .66]. No adverse effects were reported. Conclusions and Relevance Among extubated patients at low risk for reintubation, the use of high-flow nasal cannula oxygen compared with conventional oxygen therapy reduced the risk of reintubation within 72 hours. The source article is published on the JAMA website.